The Boys Volleyball team is setting up for a strong comeback after a challenging run last season. The team is excited for the growing team culture and their second year with Coach Tommy Ma. “Being on this team is like having another family,” said outside hitter Wen Chueng ’20. The returning team members stressed chemistry as a common strength this season. Last year was Mr. Ma’s first season as the coach. He had to travel to Midwood from a different school last year, which cut into time to practice and to become familiar with the players. Now the team has more access to equipment, more practice time, and the ability to build a stronger relationship with their coach. For the past few years, the boys volleyball team has been one of the top 15 teams in the city but has not managed to score a playoff win. The goal this season is to change that. “The goal is to be undefeated in our division, break through to the playoffs, and reach the quarters,” said Mr. Ma. According to opposite hitter Carlos Aceytuno ’20, the team is physically capable and has good technique, but is “inconsistent” and need s to sharpen their stability skills. With tryouts over and the season right around the corner, the team is welcoming new members with open arms. They plan to use the fresh talent to their advantage in order to make it through the playoffs in the coming years. 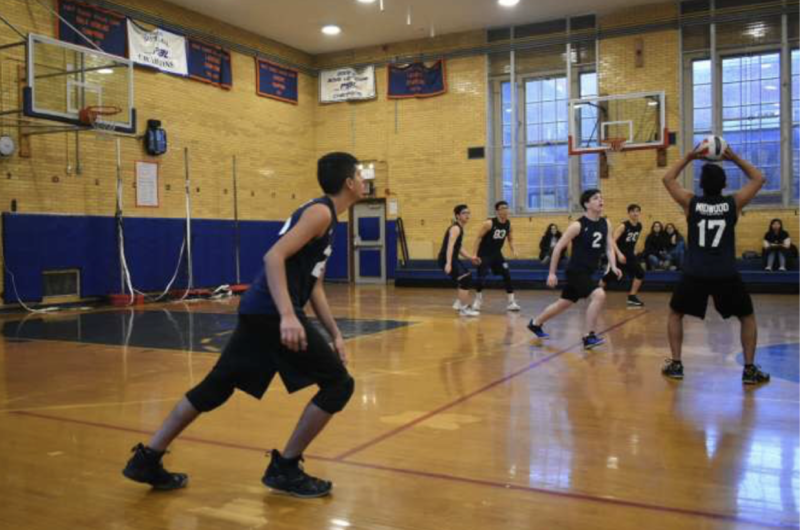 “This team is different than my expectations because everyone is really caring of one another and provides each other with support,” said Vincent Ouyang ‘22, a new member on the team. Daily practice consists of a dynamic warm up, footwork and agility drills, blocking, and a pass to transition and attack. The team spends 15-20 minutes each on these basic drills every day. This year the team has more height, and the returning members have built their strength. However, “one of the biggest challenges we face is ourselves,” said Kyaw Khant ’20. According to Mr. Ma, showing up to practice on time, exhibiting a strong work ethic, and having a positive attitude will play a big role in overcoming this challenge. In order to shape resilience, the team must work on both their physical and mental toughness in game situations.